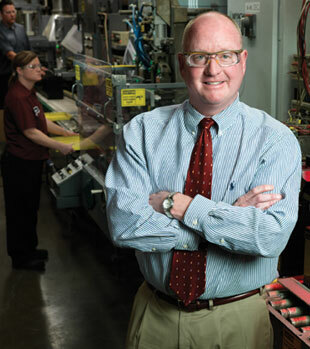 Hal Hawk, president of Crown Battery, has over 30 years experience in the battery industry. The company’s manufacturing, quality and commercial leadership has over 200 years of combined experience in the battery industry. Our company relies on this experience along with client input to serve our global customers and has elevated Crown Battery from its meager beginnings in 1926 when it served just one market – Fremont, Ohio. Today, Crown Battery still only serves one market: The World. We aspire to make the world a better place by providing the power that makes life easier and raises standards of living, health and safety for the communities we serve. Whether it’s providing RE system reserve power required by people living out of reach of the electrical grid – or helping battery manufacturers in developing countries recognize their responsibility to the environment, Crown’s approach to corporate citizenship emphasizes our commitment to people, our planet and defines who we are and how we will conduct business.